Kathleen Edwards Hayslett sent her contribution to me in late April. 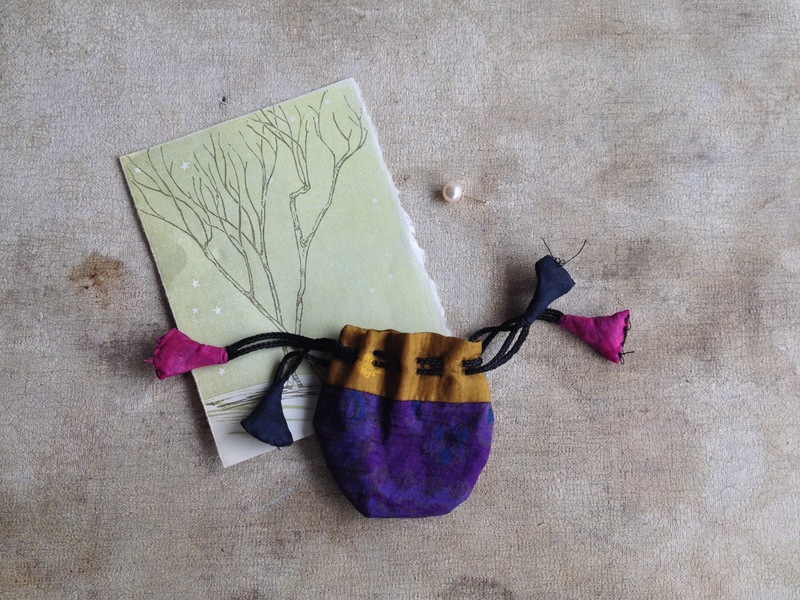 Inside the mailer was a short, handwritten note and a single pearl earring tucked inside a small fabric pouch with a drawstring closure. I read the note first, as I always do, and then opened the little bag to see its contents. Kathleen wrote she had been given a pair of pearl earrings from her dad when she was in her 30s but had lost one of them... and was now passing it on to me for my piece in memory of both of our fathers. 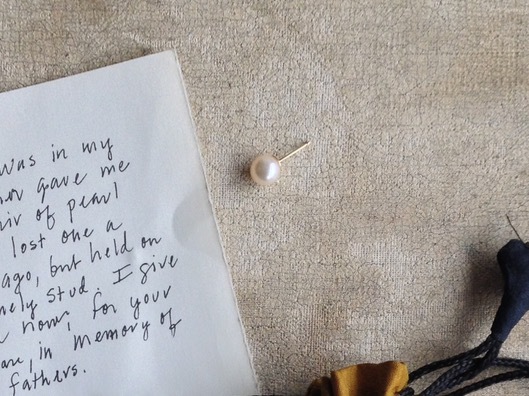 This short but poignant message and the simple pearl earring brought me to tears. This kind of connection, this kind of shared experience, is why I make my work and why I wanted to make the Pearl Piece. My intention for this sculpture was reinforced and magnified with Kathleen's simple and layered addition.